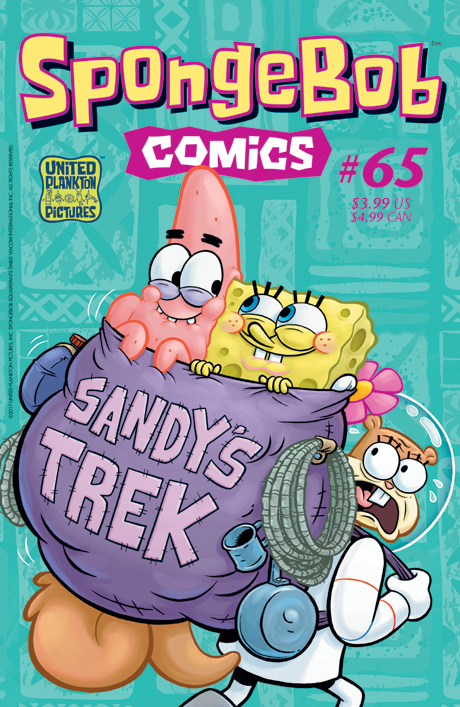 Nobody calls Sandy Cheeks a "tenderfoot"–but when the gauntlet is thrown by SpongeBob and Patrick, she's on a tear to prove she's the most rugged outdoors-squirrel in the seven seas! It's great fun until a certain underwater volcano catches her eye… Then, in "Plankton's Imagination," SpongeBob takes pity on that poor tiny terror Eugene Plankton and teaches him the joys of inspiration and creativity. But is that a good idea? Plus: fun facts about real plankton from Maris Wicks (Coral Reefs), SpongeFunnies by James Kochalka (Glorkian Warrior), and more!